All Marisol Lewis had ever wanted was a family, but her ex-husband back on Earth made sure that would never happen while they were together. Now? After waking up on an alien planet, she has a plan and she’s more determined than ever to see it through on her own. When the contract comes up that will give her exactly what she’s always dreamed of, she’s eager to sign on the dotted line and begin the journey to her new home planet of Dolovia. But when things go horribly wrong, she ends up surrounded by mad doctors and Frankenstein space pirates. Luca and Baelion are dragon shifters with a troubled past, shunned by their own people, they now work for the Coalition Council taking rescue jobs that no one else can do. They manage to find Marisol—but their rescue plans take a wrong turn and they all end up stranded on a dangerous quarantined planet. The Secret Supers – A guest post from Aurora Springer. Danger is the last thing on Estelle’s mind when she visits the University of Oxenford for a summer course. But, mysterious thefts and shadowy figures spur her into action. 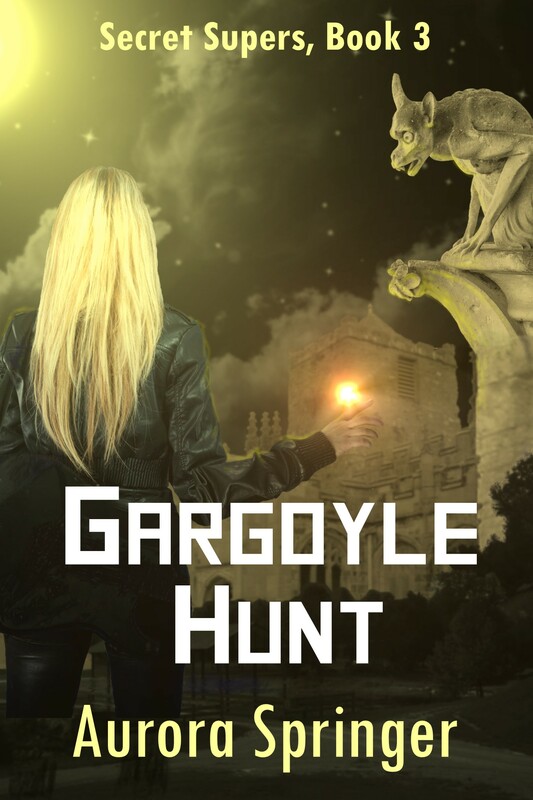 With Toby five thousand miles away, Estelle and her winged horse must hunt for the culprits alone. Soon they are embroiled in a mixed bag of aliens and ancient magic. Toby’s unexpected arrival throws her into turmoil and spurs events into a climax. Under pressure to succeed, Toby is trapped in a web of deceit. The two supers have less than a week to catch the crooks and salvage his reputation. Outside the entrance of the mound, the hippies were debating the alignment of the Kennett Long Barrow relative to the major axis of Stonehenge. Estelle hid a smile and stepped back to gaze at the rock entrance. She climbed to the top of the barrow in search of a quieter spot, enticed by the promise of a cool breeze and extensive view. A handful of people lounged in the grass above the entrance. Further along the mound, two middle aged women sat next to four small dogs. Estelle strolled toward the end of the mound. The two women made an incongruous couple. The thin one had a severe black dress and long black hair framing a pale face, while the other woman had short gray curls, round pink cheeks and wore a flowery frock. Two of the dogs, miniature greyhounds, scampered over and sniffed at Estelle’s knees. She bent down to pet them. “I love animals,” Estelle said, smiling at the friendly woman. With a flutter of wings, the speckled white pigeon landed on the mound nearby. “I’m not a pet,” Rockette squawked indignantly. “Not a pet and not a bird,” the dark haired woman said, glancing at the pigeon. “The dogs have yappy thoughts. Better find out who they are,” Rockette advised. “One of our American cousins?” the thin woman asked. “Estelle Wright. I’m from Atalanta in the United States.” She petted the two dogs curled beside her. These women and their Farleon animals were her kindred. “And who is the bird that isn’t?” Dot asked in her astute fashion. “My companion is a mare called Rockette,” Estelle said, gesturing at the pigeon. “Thanks!” Trusting her new Farleon friends, Estelle offered her phone number in exchange. Teen superhero, Starrella, and her flying horse combat alien crooks. Aurora Springer is a scientist morphing into a novelist. She has a PhD in molecular biophysics and discovers science facts in her day job. She has invented adventures in weird worlds for as long as she can remember. In 2014, Aurora achieved her life-long ambition to publish her stories. Her works are character-driven romances set in weird worlds described with a sprinkle of humor. Some of the stories were composed thirty years ago. She was born in the UK and lives in Atlanta with her husband, a dog and two cats to sit on the keyboard. Her hobbies, besides reading and writing, include outdoor activities like gardening, watching wildlife, hiking and canoeing. 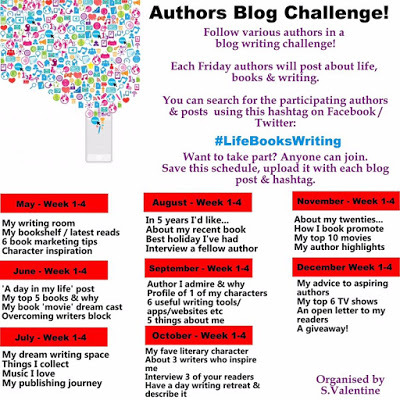 Author rharrisonauthorPosted on December 6, 2016 Categories blog tour, book review, WritingTags blog tour, book, Writing2 Comments on The Secret Supers – A guest post from Aurora Springer. This ought to be an easy post. Every author loves to talk about the last one. My most recent book, at least most recent that’s been released, is Frankenkitty. I’ve got a couple in the can, out at publishers and an agents on spec. Don’t know if that will work, but it’s worth a try. 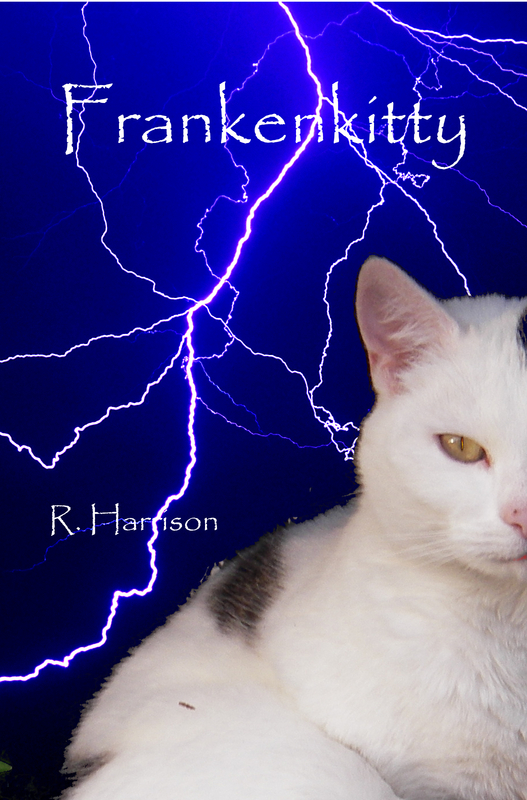 Frankenkitty is a Young Adult science fiction work. 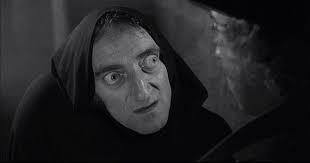 Sort of Young Frankenstein meets Fast Times at Ridgemont High. Except a book rather than a movie and set in a more modern environment. This was a blast to write, and a complete change from my usual regency/historical fare. Available at fine online retailers (Well Amazon). Let’s see, a typical day. That’s actually hard because there are seldom typical days. 5-7 am. Wake up. Actually my wife wakes up first, usually. I let her have the first shower and either read or check email. If I’m teaching undergraduates, there’s always something from a student. Usually along the lines of “I’ve just started this homework at 11:45” They’ve had it for two weeks, “and can you extend the deadline past 12?” I never check my work email during the evening when there’s a class. It only encourages them. Mind you, if it’s something substantial, I answer it. She’s done, out walking the dog and training our cats. So it’s time for my morning ablutions. Before they went to uni, this was when I’d wake our boys. Wake them for the first time, that is. Now I just shower. Breakfast: For someone who occasionally posts dashed good recipes, I keep it simple. A quesadilla; tortilla on griddle, hot sauce on tortilla, cheese on hot sauce, fold, and brown both sides. Mexican soul food. Did I mention I’m as anglo as they come? By now the tea is cool, but that’s fine. Then I write and do author stuff. I’m usually sitting at the end of the table across from my wife, and she’s doing much the same. Atlanta traffic is ferocious. If you can, and we often can, it’s best to wait it out. If I leave at 8, I’ll get in at 10. If I leave at 9 I’ll get in at 10. If I leave at 9:45, I’ll get in at 10. The car seats aren’t that comfortable. Then it’s research, right now really difficult optimization problems – large systems of simultaneous transcendental equations (If you get that you’re good), or machine learning. We’re looking at faster ways to do Boltzmann machines. That Stat. mech. I took as an undergraduate in the dark ages still comes in useful. This is often the truly fun part of being a professor. Working with the PhD students and teaching them how to formulate – then answer problems. Undergraduates are the next most fun, but they’re a little clueless. That can get frustrating. The rest, administration trolls and arbitrary power struggles over trivial things; well that can take a hike. Usually, lunch at my wife’s office. She’s also a professor. Then after more work, the drive home. Atlanta traffic comes into it’s full power in the afternoon. Between 3 and 6, it’s a parking lot. So we go the back way. Still an hour on the road, but at least you’re moving. We follow the line of march from Sherman’s army on the way home. There’s nothing wrong with the South that a visit from William Tecumseh Sherman couldn’t fix. teasers, purchase links and all about the author. ‘This book seeks to affect change in its readers perception of the actual circumstances that humanity shares.’ – Eradicating Hatred. Etiam Tu: Eradicating Hatred is the first installment in the Etiam Tu book series. It is the initial explanation of the philosophy of Etiam Tu as it applies to mankinds most immediate threat to his continued existence: Hatred. This book seeks to affect change in its readers perception of the actual circumstances that humanity shares. It identifies the sources of the Hatred we are subjected to, the motivations that create and maintain it, and the numerous forms in which it is manifested. It’s goal is to alert its reader and raise their awareness, by thoroughly exploring this multi-faceted threat; examining each form and humanity’s role in maintaining their existence. Ultimately, educating each reader in an attempt to enlist their voluntary individual efforts to assist in Eradicating this evil from the collective human psyche once and for all: forever. his young son’s convicting of his heart for having given up on mankind. ‘I love most books on self improvement, or about the interactions and emotions of humans. This book focuses on eradicating hatred, things such as: morals, honor, family values, faith, trust, negativity, frustration, envy, resentment, the culture of hatred and more. From the authors experiences and observations over the past 9 years, he has brought us this book. It really opens your mind, and the way he speaks about mankind being saved from itself by stopping the hatred is so true. Hatred is the dangerous issue mankind is facing. To celebrate the release of Book 3 in the Grand Master’s Trilogy, Book 1 will be FREE the weekend of November 28-29. One young woman challenges the super psychics ruling the galaxy, and finds an impossible love. Young empath, Violet Hunter, achieves her dream of exploring planets by becoming the pawn of one of the twelve Grand Masters, despite her forbidden psychic talent. She believes her secret is safe because the Grand Masters never appear in public and communicate through avatars. When life-threatening cracks in the vast web of interplanetary portals disrupt civilization, Violet agrees to investigate the cause. At the same time, her trusted tutor, Mother Tingu, explains that her father’s death twenty years ago was no accident. Tingu suspects the perpetrator of both crimes comes from within the ranks of the Twelve, perhaps even Violet’s own obnoxious Grand Master. Violet must penetrate their curtain of secrecy to identify the culprit. Her challenges escalate when she meets the enigmatic man behind the griffin avatar. Armed with only her erratic powers and a mishmash of allies, she must challenge the most powerful beings in the galaxy. She gulped, wide eyed in alarm. How was she supposed to prepare? Without further warning, he caught her round the waist and flung her from the raft. Violet shrieked. She flew over the water, twisting with cat-like agility to land on her hands and feet. Her hands stung from the impact, but she was safe on the shore. She turned to watch Taranis. He ran with the pole in his hands to the edge of the raft, stuck the pole into the water and vaulted to the rocks. He staggered on a slippery stone, and Violet grabbed his wrist and tugged to prevent him from falling. Instead, she slammed against his body with her face pressed against his bare chest, tingling with psychic power. Immediately, she felt foolish. She lifted her head to break the sizzling contact. They stepped apart, and he stared down at her from those unreadable black eyes in his solemn face. “Sorry!” she muttered. She lowered her eyes and reddened with embarrassment. Was this athletic man really her Grand Master? The one she had taunted as too decrepit to participate in a mission. My career in science involves plenty of writing facts for research articles. But, I’ve imagined exciting adventures in weird worlds for as long as I can remember. For many years, life intervened. Now, I have achieved my life-long ambition to publish novels. My published works include science fiction and fantasy with romance and a sprinkle of humor. I was born in the UK and live in Atlanta with my husband, a dog and two cats to sit on my laptop. My hobbies, besides reading and writing, include outdoor activities like watching wildlife, hiking and canoeing. 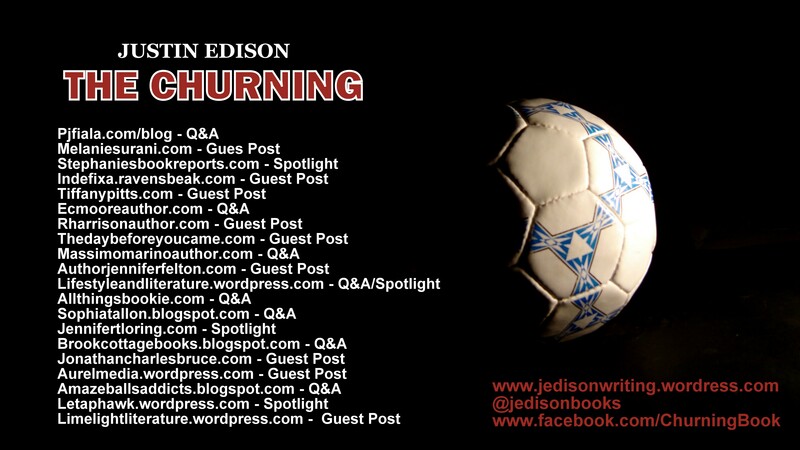 In Justin Edison’s second novel, Persian-American soccer star Arman Hessabi wakes in chains in a house of enemies. Driven in part by an abusive older brother, the hero feels his life is complete with the glory, women and riches afforded by a Premier League striker’s lifestyle. But he meets his match in Fat Man, Captain, Huck and Kay—men who hold him in thrall somewhere in Europe. Through trials, Hessabi comes to question his own ego and position in life. But is it too late for a soccer star with no apparent power over his own fate? Justin A. Edison has been writing fiction and stories for twenty-odd years. A graduate of the Evansville and Hamline writing programs, he counts among his adventures a rocking semester at Harlaxton (in the British Midlands) and a tour of the Czech Republic. His pursuits include hiking, Web site design, trying to fix the world (in too many ways) and playing soccer (rather poorly). 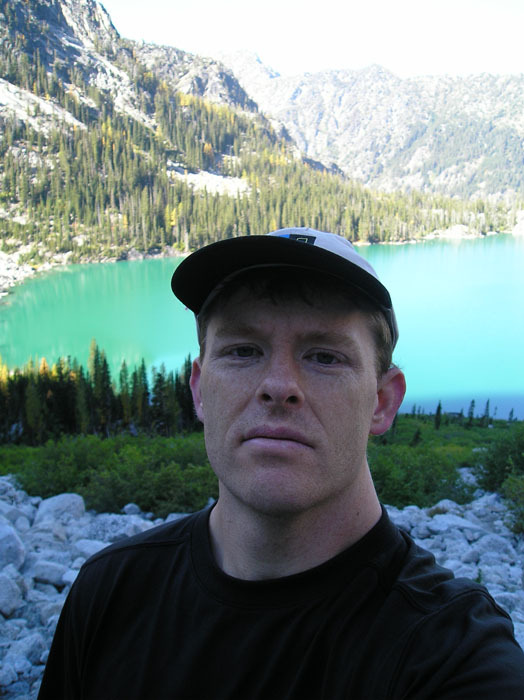 He lives in the Seattle area with his wife, two energetic kids and a vocal cat. 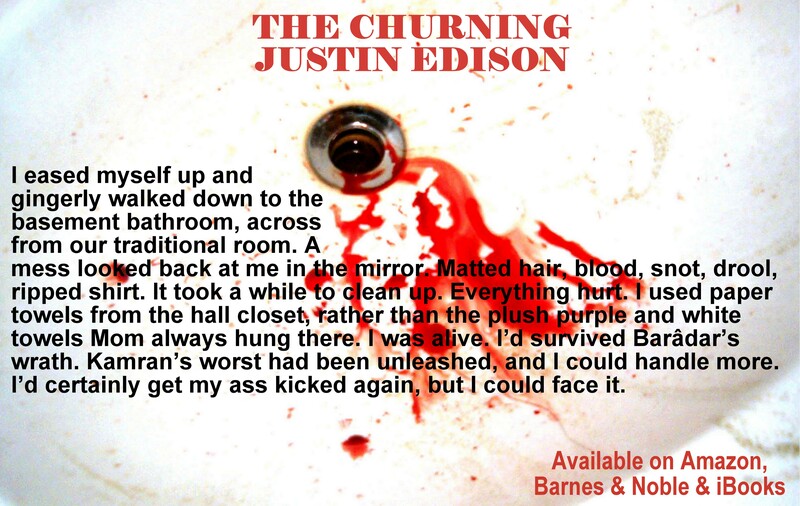 The Churning is his second novel. BLOGGERS: REVIEW COPIES ARE AVAILABLE. PLEASE CONTACT THE AUTHOR.